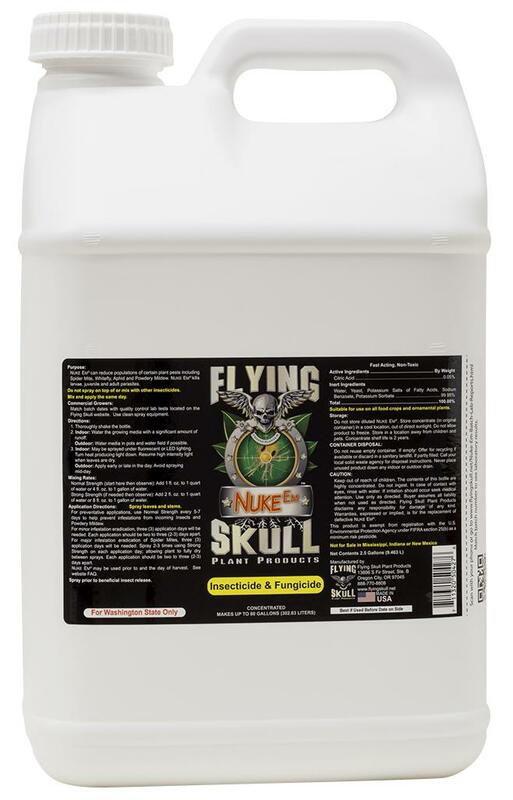 Nuke Em® insecticide/fungicide is a pesticide that has been proven effective in both hobby and commercial grows and its purity is verified. 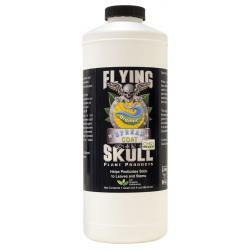 It targets all species of Broad Mites, Russet Mites, Spider Mites, Leaf Aphids, Whitefly and other plant leaf parasites. 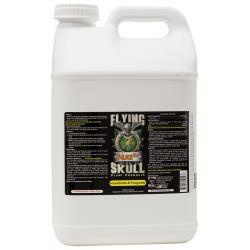 Its unique formula also allows for outstanding control of powdery mildew found in the garden. 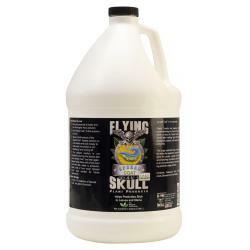 Nuke Em® uses ingredients that are either food grade or organic listed which makes it skin contact friendly. Nuke Em® does not have any heavy oils or detergents in the formula that could slow plant growth or make produce taste bad. 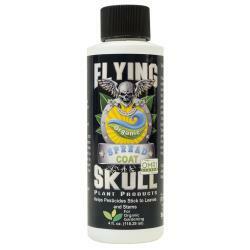 It may be applied throughout the grow cycle and if need be applied after harvest. 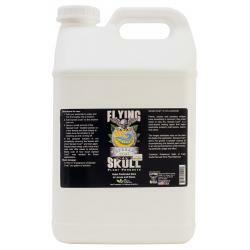 Commercial growers will be happy to know that Flying Skull is very serious about Nuke Em's quality. 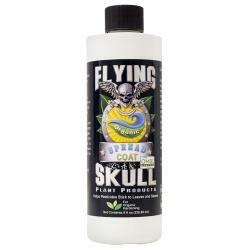 Flying Skull Plant Products has identified 59 unlawful pesticide ingredients known to fail laboratory testing of food grade produce. Each batch of Nuke Em® has been laboratory tested for purity to make sure those 59 unlawful pesticide ingredients along with yeast, mold and bacteria are not in Nuke Em®. Not for sale in the following location(s): AK, AL, AR, AZ, CA, CO, CT, DC, DE, FL, GA, HI, IA, ID, IL, IN, KS, KY, LA, MA, MD, ME, MI, MN, MO, MS, MT, NC, ND, NE, NH, NJ, NM, NV, NY, OH, OK, OR, PA, RI, SC, SD, TN, TX, UT, VA, VT, WI, WV, WY.